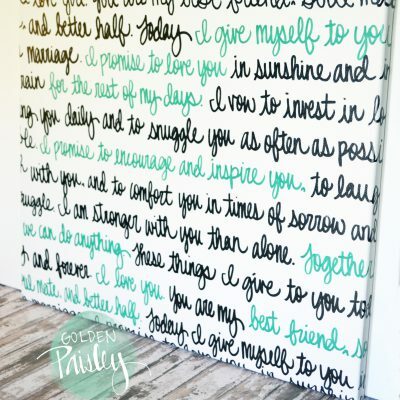 This beautiful, hand painted wall art is hand painted in my own handwriting on a stretched canvas and includes hanging hardware on the back. 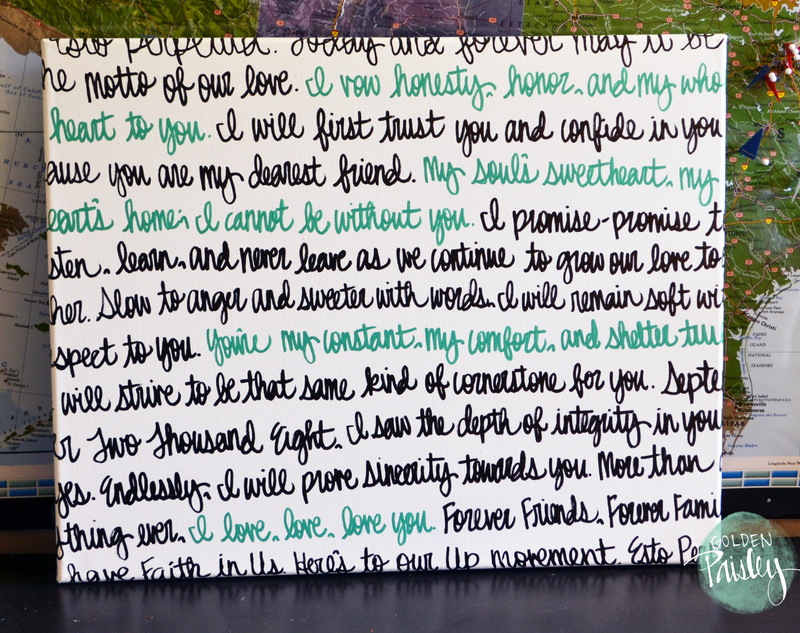 The painting features beautiful words of love. 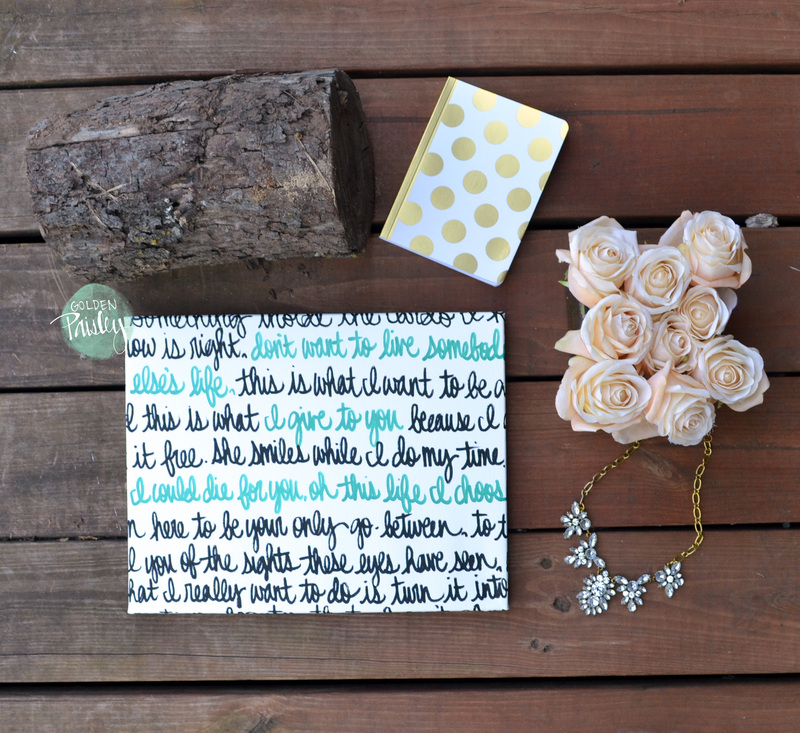 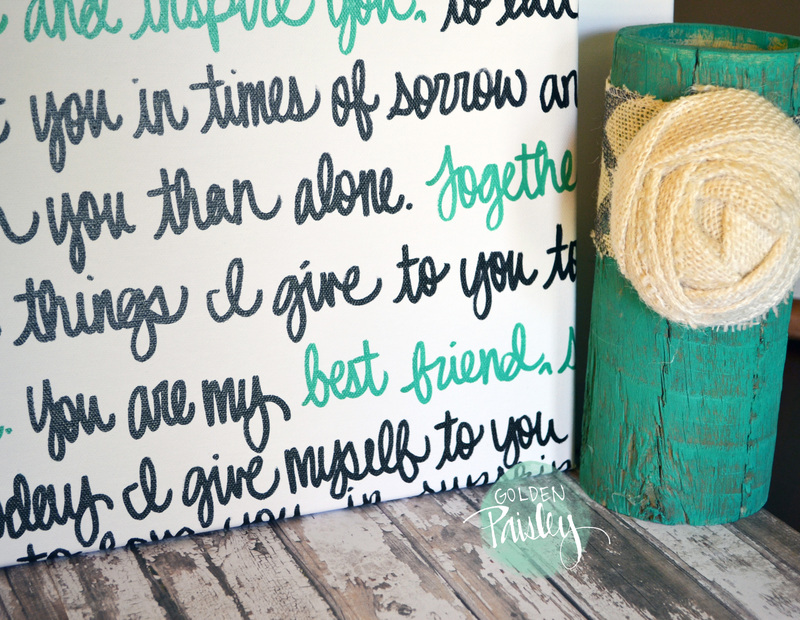 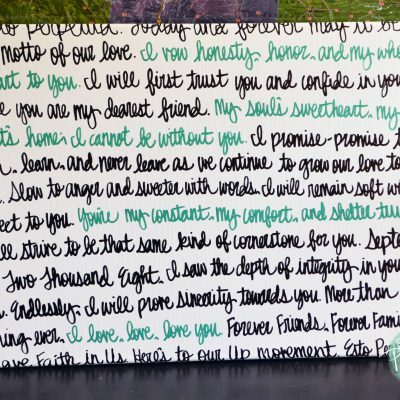 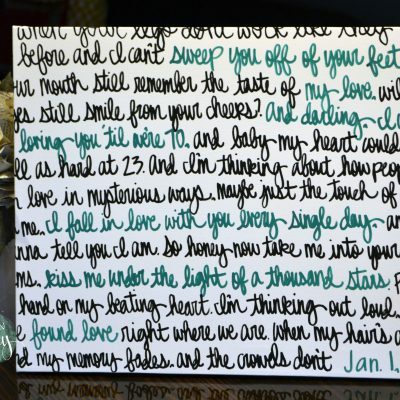 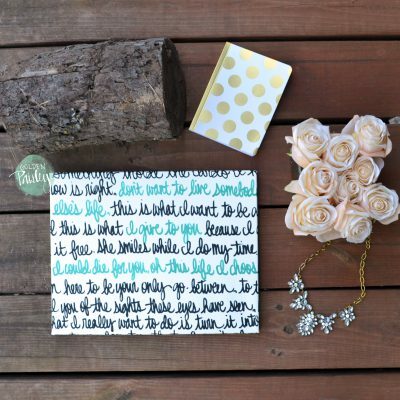 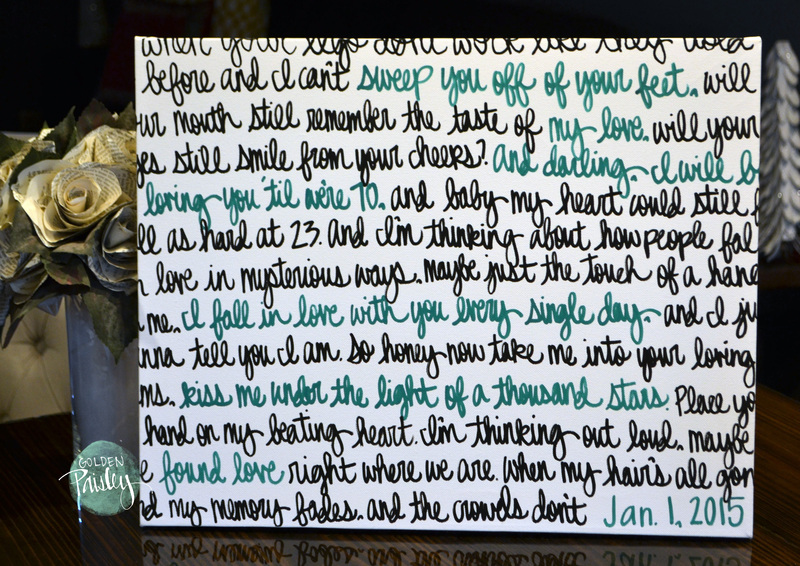 Your wedding vows or first dance song lyrics are painted on the canvas in a beautiful format, to create an amazing anniversary or bridal shower gift that is sure to wow, and will keep be a beautiful reminder of your love for years to come! 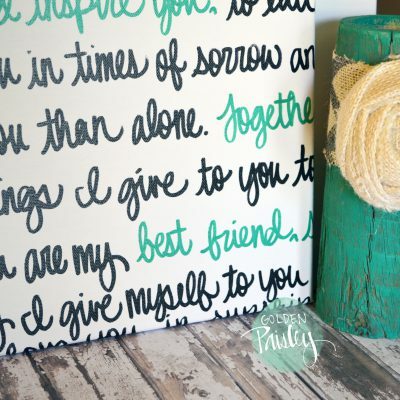 This listing features a white background with black and teal green text. 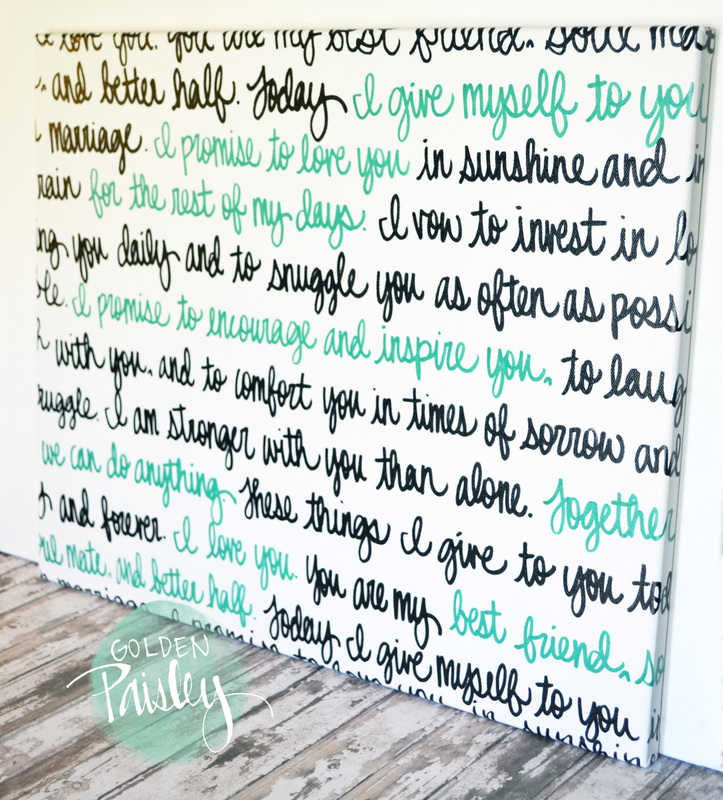 You can specify which words are highlighted in teal green, or I can choose them based on meaning and placement. Colors can easily be customized to get the look of your choice!